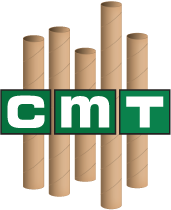 4" x 36" Crimped-End Kraft Tubes | Chicago Mailing Tube Co. If you want to mail or store any items that require 4" x 36" tubes, Chicago Mailing Tube Co. has you covered. Our 4" x 36" self-locking kraft tubes can handle any sort of punishment the mailing system can offer. They will keep your important documents, blueprints, posters, and papers secure. When you've invested time, money, and personnel into drafting and creating important documents, the last thing you want is for these documents to become bent or damaged while in transit. Standard mailing tubes are a great choice in many situations, but you won't find more convenience than with our 4" x 36" self-locking kraft tubes. 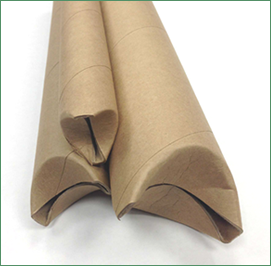 Each of our mailing tubes is designed to avoid flexing or folding, but with our 4" x 36" crimped-end kraft tubes, you just need the pinch the ends to fully secure your valuable documents inside. When you want to access your items, simply unfold one end of your tube and you're ready to reuse your mailing material. We only use 100% recycled paper for our products, and we even recycle the scraps from our manufacturing process. You can rest assured that your purchase from us isn't harming the environment. No matter where you are in the country, we will responsibly manufacture your order and ship to your location within just a few days. If you'd like to learn more about our mailing tubes or would like to request a quote, visit our contact page. We offer a wide range of types and even colors of tubes to fit every customer's needs. Don't let your valuable items be damaged by flimsy mailing containers. Call (312) 243-6050 or email quote@mailing-tube.com today. We require no minimum order size and can meet your exact specifications, no matter what size or type of mailing tubes you require.